Yokohama, Japan: Facing a future in which self-driving cars may curb vehicle ownership, Nissan Motor Co is taking its first steps to becoming an operator of autonomous transportation services, hoping to break into a segment set to be dominated by Uber Technologies and other technology firms. These moves mark a push by the automaker to avoid becoming the "Foxconn of the auto industry": a mere vehicle supplier to ride- and car-sharing companies. "We realise that it's going to take time to become a service operator, but we want to enter into this segment by partnering with companies which are experts in the field," Nissan's chief executive, Hiroto Saikawa, told Reuters in an interview this month. "By doing something with a more premium feel, it could allow Nissan to charge more for its service and potentially relieve some of that profitability pressure they could face if they were to try to race to the bottom in terms of pricing," said Jeremy Carlson, automotive analyst at IHS Markit. Nissan has embraced new technologies, launching the Leaf, the world's first mass-market electric car, in 2010. The company was an early proponent of self-driving cars, pledging in 2013 that it would market fully autonomous cars in 2020. 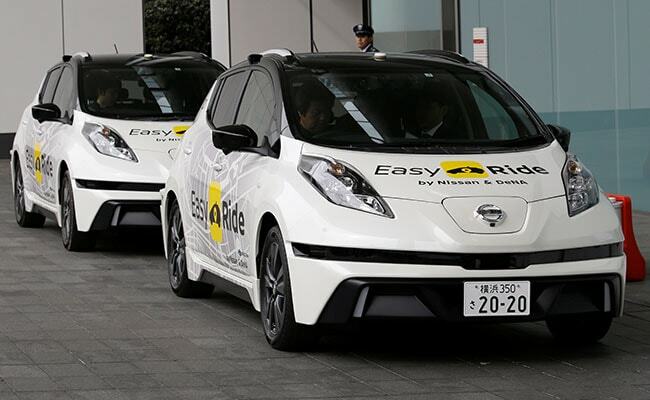 Nissan also has its own car-sharing service using its ultra-compact battery electric models, but after years of trials, the service is available only in Yokohama, home to the automaker's headquarters. After bringing in Ogi Redzic, who previously led the automotive business group of mapping data firm Here Technologies, to head Renault-Nissan's mobility services division in early 2016, Nissan in the past year or so has begun to gear up its strategy to compete in the new transportation area. Its partner DeNA is one of the world's biggest social gaming networks with 30 million users. The company's expertise in developing real-time user interfaces and payment systems will help give shape to the taxi service platform.